Over the last 12 months, dozens of security stories documented how easily data can leak when enterprises leave business and customer data unsecured in databased hosted by various public cloud services. However, on-premises data is equally vulnerable to attackers who can sniff out poor security practices. This week, security firm UpGuard released a report that detailed how a on-premises storage server belonging to the Oklahoma Department of Securities (ODS) had been left exposed to the public-facing Internet, leaving about 3TB of data and millions of files exposed to anyone who knew where to look for the IP address. 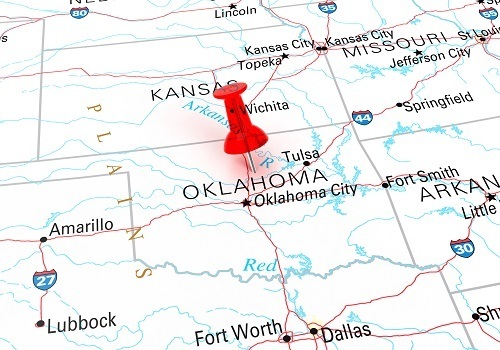 Specifically, the data was left exposed through an unsecured sync service belonging to an address registered to the Oklahoma Office of Management and Enterprise Services. It's not clear if anyone ever found and downloaded the data, and the ODS responded quickly to the UpGuard researchers and closed off access to the server. However, the type of data this system contained could prove extremely valuable to someone looking to steal data. The ODS is part of the state's Department of Securities, which functions much like the federal Securities and Exchange Commission. The department ensures that securities are being traded legally and it can conduct investigations into fraud and other consumer complaints. This created a treasure-trove of data, some of it dating back to the mid-1980s, including details of FBI investigations. The last entry dated to 2016. "In the course of our research we have developed a data taxonomy based on the types of entities affected by breaches. In this case we found examples of the many of the types of data that might be leaked in a breach," according to the January 16 report. What's particularly interesting is that researchers found the exposed government server using Shodan, a search engine for locating Internet-facing IP addresses. No complicated hacking tools were needed. It's not clear how long the server was left exposed but the Shodan search engine noted it was first registered on November 30, 2018. Even something as basic as two-factor authentication could easily have cut down some of the risk in this week's case. "This is just another example for the need to tightly control and maintain the cyber posture of all internet-facing servers, both on-prem and within the public cloud," Praveen Jain, the CTO of Cavirin, which provides security tools for hybrid cloud environments, noted in an email to Security Now. "The solution combines training, better processes, as well as rigorous OS hardening, updates, and patching of vulnerabilities," Jain added. "And, as noted, tools like Shodan make it all too easy for hackers to scan the Internet for public servers and then probe for vulnerabilities. So, the issue will not go away any time soon." These sentiments were echoed by Anurag Kahol, the CTO of security vendor Bitglass. "While all organizations need to defend their data, government agencies, in particular, must adhere to the highest of security standards -- the type of information that they collect, store and share demands it," Kahol wrote in an email.